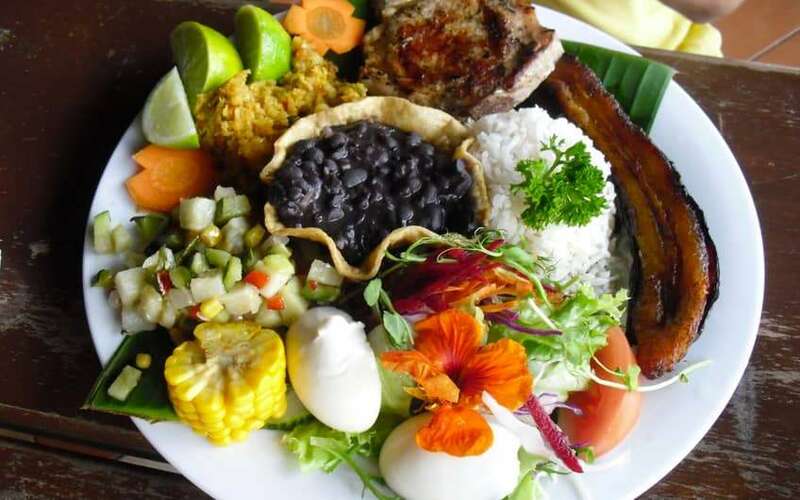 Costa Rica has a variety of luxurious authentic traditional cuisines. Some of the foods include Casado, ceviche, and plantains among many others. The best restaurants in Costa Rica have very high levels of authenticity regarding Costa Rican and international foods. Whenever you are wondering where to eat in Costa Rica, there are several recommendations that you can try. This article puts together several renowned restaurants in Costa Rica you can try out. There is also a summary of the foods, prices and the environment of the restaurants to assist you in making informed decisions. La Terrasse Cuisine Francaise is one of the most private and personalized restaurants among all in Costa Rica. The restaurant is best known for the fantastic French cuisine. If you are looking for where to eat in Costa Rica, Le Terrasse is the place to enjoy the best organic foods prepared by the experienced chef Patricia Richer. Headed by chef Francis Canal, Restaurant Grano De Oro offers a variety of cuisines from fresh local ingredients such as tarte tartin. One of the signature specialties is the mouth watering Grano de Oro, which contains a blend of coffee and chocolate. La Esquina is the restaurant for those who prefer a serene environment. The varieties of foods served at the hotel include grilled meat like De chonzo and Ojo de bife. The atmosphere is truly unique, and the steak and wines really awesome. The restaurant has a stunning scenic view that the customers can enjoy while taking their meals. Customers love the unique ‘Tenedor-tasting’ steaks cooked by the restaurant, as they are very delicious. Other special meals include burgers, flank steak, and good wine. The restaurant has high regards for providing their customers with the best caring and conducive environment to dine. When looking for where to eat in Costa Rica with excellent service, Tin Jo is the place. The cuisines prepared have their inspiration from the Asian countries like China and Japan. Headed by the owners Maria Hon and Robert Faulstich the restaurant produces delicious dishes such as sopa miso maya, ensada de papaya Verde, and samosas. The foods from this restaurant have their inspiration from the Argentinian cuisine. The place has a reputation for providing the best meals such as flank steak, empanadas, and gaucho papas. If you are searching for where to eat in Costa Rica and you require a wide variety of cuisine, Lubnan is the destination. The place has different types of dishes, but their specialty is Middle Eastern foods. The foods include lamb shish, tortillas, hummus, and kebabs. If you are a real fan of Italian cuisine and looking for where to eat in Costa Rica, Sapore Trattoria is the best choice. The restaurant not only prepares authentic Italian meals, but also has the best service delivery in Costa Rica. Some of the specialty dishes include the festa de la pasta and, of course, the delicious pizza. Whenever you are looking for where to eat in Costa Rica and still spend some quality afternoon time in serene place, Café Rojo is a very appropriate place. They serve the best coffee and fruit drinks. Customers can also order inspired dishes such as sandwiches from the seasonal farmers produce that is fresh. Restaurant Silvestre is located in a place of historical significance and a friendly neighborhood. Apart from the finger-licking cuisines, there is plenty of music and art for the customers to enjoy. The location provides memorable experiences for the people dining due to the best service and entertainment. These are the best restaurants in Costa Rica to enjoy authentic Costa Rican cuisines or international meals. If you have any contributions, thoughts, or comment on the topic, feel free to share. We appreciate your feedback.